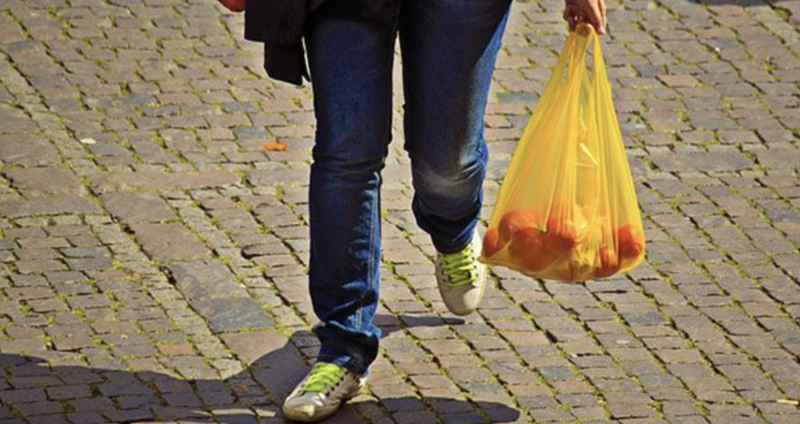 SOON KAMLOOPS will be plastic bag free, or so it appears based on this week’s motion from council to direct staff to come up with a framework to ban single-use plastic bags from Kamloops stores. Kamloops is not on the leading edge of this initiative. In 2002, Bangladesh was the first country to ban single-use plastic bags. New Zealand is the latest country to impose a ban. Other countries who have implemented bans include Italy, China, Chile and South Africa. San Francisco, Los Angeles, Portland, and Mexico City are some of the cities who have banned bags. Closer to home, Montreal and Victoria have also implemented a bag ban. The province of Newfoundland and Labrador is contemplating a provincewide ban. Back in 2006, the Dutch banned free plastic bags at their checkouts. It resulted in over 70 per cent drop in the use of plastic bags. I have seen the results first hand, as my sister and her family live in The Netherlands. They carry their groceries out of the shops in reusable sturdy plastic bags and plastic bins. There are almost no plastic bags in her house, except the ones they buy to put the garbage in. So now it’s Kamloops’ turn. Previously, Mayor Ken Christian stated that a ban should be brought in at the provincial level. True enough. However, if history is any guide, these types of changes start at the local level. Back in the 1980s and ’90s, small groups of activists persistently petitioned cities to ban indoor smoking. Eventually they won, one city at a time. In 1999, Toronto was the first major Canadian city to ban indoor smoking. Vancouver followed in 2000. The first provincial ban on indoor smoking ban was in British Columbia in 2002. Municipalities lead and provinces follow on issues like plastic bag use and indoor smoking. Victoria, Tofino and Salmon Arm have already brought in single-use plastic bag bans. Vancouver is “exploring” how to reduce the use of single-use plastic bags. Other cities such as Terrace and Qualicum Beach are investigating too. It is inevitable that there will be provincial legislation to harmonize plastic bag use across the province. Otherwise, it creates chaos for retailers, especially those with stores in multiple cities. This is the perfect opportunity for Kamloops-North Thompson MLA Peter Milobar, Official Opposition Critic for Environment and Climate Change, to champion the good cause. The cow is out of the barn. Plastic bag bans are being implemented across the province. But a city by city, piecemeal, inconsistent approach helps no one. There are some excellent models to look at. Some jurisdictions impose a mandatory fee for any bags purchased at a checkout. Others give shoppers the option of purchasing reusable bags, but don’t provide single-use bags. What’s needed now, before other municipalities follow suit, is for the province to do their job and bring in legislation that applies province-wide. Milobar, with his previous experience in retail, as well as his past role as mayor of Kamloops, could bring a lot of clarity to legislation. Here’s hoping whatever ban Kamloops puts in place is short-lived, to be replaced by provincial legislation. Here’s hoping Milobar plays a part in making this happen. 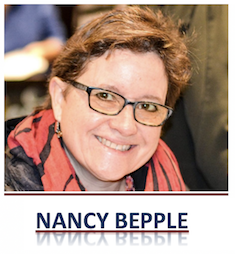 Nancy Bepple is a former Kamloops City councillor. Many thanks to Michele Haddley for initiating the motion against plastic bags at city hall and many thanks to councilor Bass for standing up and fighting for all the wild things in our area. It will of course take over a year to bring enforcement on the ban to reality,but it will happen. Additional bans will eventually come into affect as well. I’m not sure how effective the bag ban will be because bylaw officers don’t act unless there is a registered complaint.What the penalties will be is hard to guess but they must be such as to discourage future infractions. I for one and many of the folks i know WILL register those complaints.Wheather people like D Smith like it or not the ban is going to change the destructive way we are behaving.Mr Smith needs to do a little research. Don’t forget that your garbage probably goes to the curb in a single use plastic bags and your bread also comes home in one. Some form of re enforced paper product must be developed as a replacement .It will happen but it will take time.I feel that this planet is worth it. How about you ?? :Pls write your MLA and demand similar action, Province and even Country wide.It may already be to late but we must try to stop the destruction because WE are the cause and We can be the cure. Tony, if we replace plastic with paper, how will that affect the environment? A tree takes many years to grow to where it can be harvested. Trees are needed for the air we breathe. If paper is to replace plastic, how will that affect the air quality, wildlife habitat, etc. You can use other plants such as hemp not just wood, but we will need the land to grow food more than to grow paper products. They are clear cutting the rain forests now because of the demand for cheap palm oil, and I am sure that contributes very much to global warming. If we are to replace plastic with paper, can we grow the wood fast enough to keep up with the demand. That is not just shopping bags, but all of the plastic we seem to have to wrap everything in. Single use plastic shopping bags should be considered as less than 1% in our waste stream, the use of re-usable cloth bags is frowned upon because of the transfer of disease causing bacteria, among other things there is the just plain filth of a re-usable grocery carrier. Your valuable time would be better spent in another direction. The very minimal damage associated with a one use plastic bag should speak for itself. Beverly ::How about the damage caused by a trillion plastic bags ? This is just the tiniest move in cleaning up the garbage we’ve created to pollute our world. But ya gotta start somewhere, otherwise we’ll just keep operating the same way and drown in our own refuse. China no longer wants our garbage, and I don’t blame them. For someone with limited physical ability to carry heavy bags upstairs, the plastic bags are the lightest and best. I cannot imagine carrying an armload of reusable bags every time I go into a store. The plastic bags have many uses around the house, I never throw them away. I cannot see how the environment will be spared when people will have to buy more garbage bags, which contain more plastic than the grocery bags. I truly think that this planet is in trouble with the amount of garbage and pollution being produced by too many people. I wonder what the future will be for the children being born now. I cannot see why the constant cry about needing more people, our birth rate is too low, etc. Each human being produces a vast amount of pollution in a life time, and that is not just the affluent nations. The rivers and land are just as polluted in the poor countries. If we cannot stop overpopulation, I am afraid banning plastic bags is not going to be enough. Answer me this? You mention about your relatives in the Netherlands that ‘there are almost no plastic bags in her house, except the ones they buy to put garbage in’. That’s exactly what we use our plastic shopping bags for…the garbage. It appears your solution is to give cup the free ones and now pay for garbage bags?